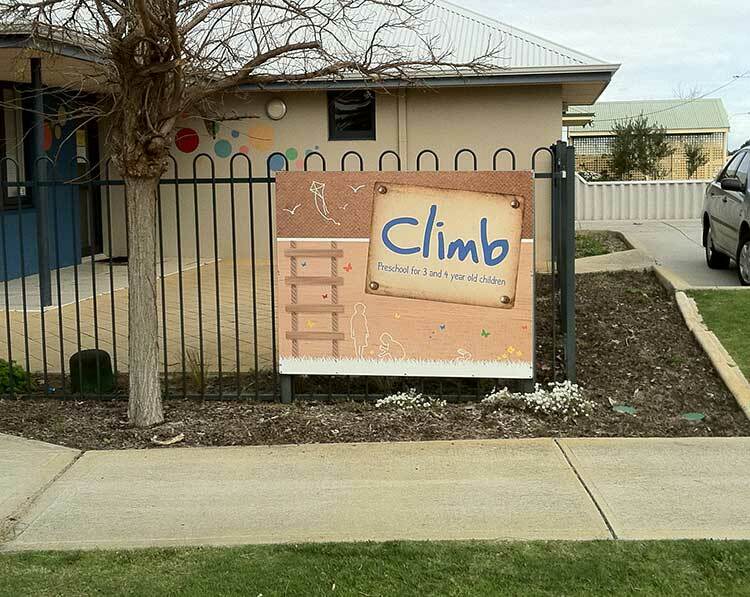 When making metal signs that are installed at a early childhood learning centre, we take extra care to make sure everything is safe. 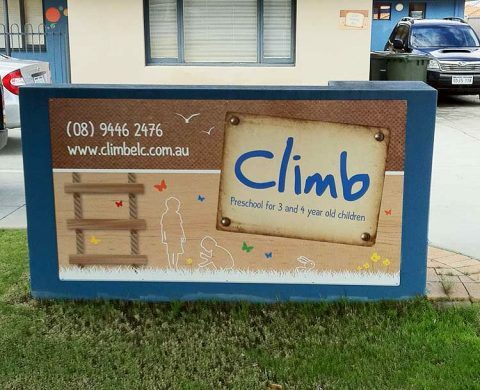 Our signs are lightweight but strong and have no sharp edges on which children may hurt themselves. Material choices are crucial in such jobs. That’s why Perth Graphics Centre is the automatic choice when you want a sign shop that’s going to show care and responsibility. We also use signmaking materials which last the distance. When you want signs and a company that cares, choose Perth Graphics Centre.